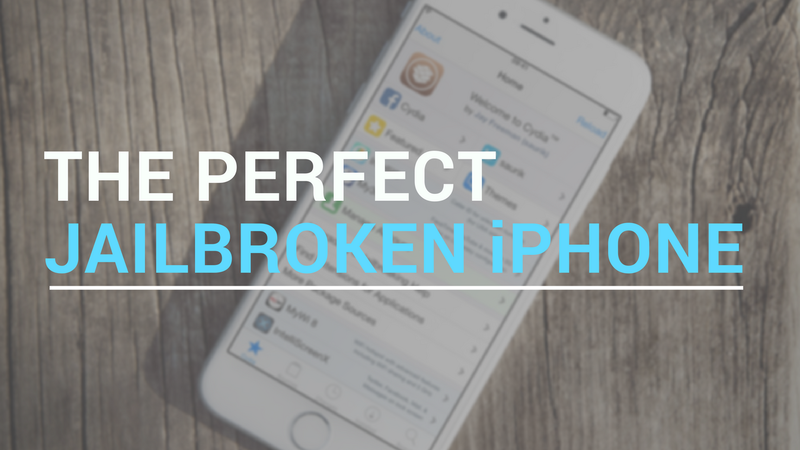 Following a ritualistic bloodline of popular posts we’ve shared in the past, we’ll be showing you what jailbreak tweaks we think make a perfect jailbroken iPhone on iOS 9. Personally, I believe less is more; keeping a jailbroken device as stock as possible without compromising on your most wanted features helps keep it both stable and functional. Overloading it with jailbreak tweaks for the sake of aesthetics can lead to instability, and that’s something I tend to avoid. As a result, I focus mainly on tweaks that serve a functional purpose more so than tweaks intended to make your device look cooler. These tweaks will all work with the Pangu jailbreak for iOS 9.3.3.
iOS limits what you can do while you’re connected to your cellular network, such as keeping you from downloading apps in excess of 100MB until you’re in range of a Wi-Fi network. Because we feel strongly that you should be able to do with your data whatever you want, including this tweak on this list was a no-brainer. The basis of this tweak is to free you from restrictions, and that kind of idea is just what the jailbreak community stands for. For some things, I think Home screen folders work great, but for others, I think Apex fills an important gap in Home screen organization. With it, you can group like apps right underneath one another, which helps a lot when companies like Facebook and Google launch so many standalone apps instead of integrating all their features into one app. It’s hard for me not to recommend Auxo 3. Everyone who knows me knows that I think the stock App Switcher leaves a lot to be desired, and this tweak helps make the App Switcher more useful by integrating features of Control Center right into it. Auxo 3 even includes other features for making multitasking easier, and for that, I think this is probably one of the more useful tweaks a jailbreaker can install. A fairly recent release, this tweak makes your iPhone a very powerful answering machine whenever you’re unable to answer your phone calls in time. Its powerful voicemail features dwarf the stock experience by letting you set synthesized greeting messages and even having iOS transcribe your new voicemail into text inside of banner notifications so you can get a preview of what’s being said before you listen to it. I have long hated the way my iPhone’s whole display gets taken over by a phone call interface when someone calls me. I instanly think to myself, “Hey! I was doing something!” But I no longer had to feel that way when CallBar came along, and the developer has really made it sexier in the most recent releases of iOS. When it comes to photography on the iPhone, no tweak makes the point and shoot camera on the back of your handset more capable than CameraTweak 4. Complete with a number of features for changing up your ISO and aperture settings, being able to separate your focus and white balance, and more, this tweak will help you take better shots. I have installed iFile on every device since I started jailbreaking several years ago. This is an absolute must-have because it lets you browse your filesystem on your iOS device just like you look through your Mac’s folders in Finder. Need I explain more? Undoubtedly a must-have since the release of the iPhone 6s, RevealMenu will actually enable 3D Touch-like gestures on unsupported devices by letting you tap and hold instead. This becomes a useful feature for the Home screen when you want to access app shortcuts just like you can on a device with a 3D Touch display, but it also works with a variety of 3D Touch-based tweaks, which is a huge perk. When Apple launched the larger-displayed iPhones, they answered the needs of tons of people and brought problems for others. One of those is being able to reach the top of the display, and while Reachability helps with some of that, OneHandWizard is a great jailbreak tweak that makes Reachability feel like an obsolete feature. If you like having the freedom of an open filesystem in iOS thanks to your jailbreak, then you ought to complete the experience with a file downloader for Safari. With this, you can download whatever you want from the internet to your iOS device. This works just like it would on the computer and you can easily share files that you download to your computer or with other people, or you can even open them directly in iFile. The stock iOS volume HUD is so annoying because it pops up in the middle of everything, especially during videos, but StatusHUD 2 makes things less obtrusive by putting the volume indicator in the Status Bar instead. I must admit, it’s difficult to keep to a list like this down to a minimum when you’re talking about some of the greatest jailbreak tweaks to date, and for that reason, there are still many more that I wish I could mention but can’t with the interest of keeping this post at a reasonable length. 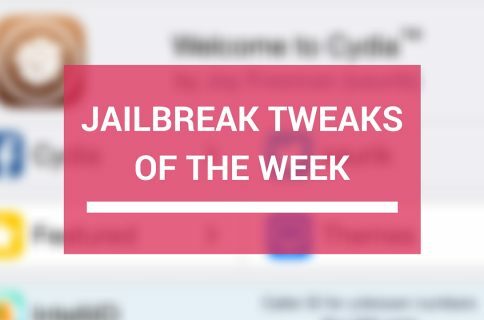 Since this is a topic is sure to spark some conversation, we welcome your comments below about what tweaks you believe make a jailbroken iPhone perfect and whether or not you use any of the tweaks from our list on your jailbroken device.